Using the most advanced hair transplant technology in the industry, Robert J. Dorin and Robert H. True offer hair restoration for men, and have successfully treated male hair loss on thousands of patients in New York, New Jersey, and Boston. If you don't want to accept your thinning hair or baldness, consider the following male hair loss treatment options available today. Modern medical advances offer much promise to men who suffer from hair loss. But not everyone benefits from the same type of treatment. Fortunately, many treatment options for male hair loss are available, including hair transplant surgery, non-surgical procedures, and medicines. Men can also choose to hide their baldness with hairpieces. The right treatment plan depends on several factors, including the cause of the hair loss, its stage, as well as the benefits and possible side effects of the treatment. For men diagnosed with male pattern baldness, hair transplantation surgery is an effective treatment that can enhance their appearance and restore hair growth. 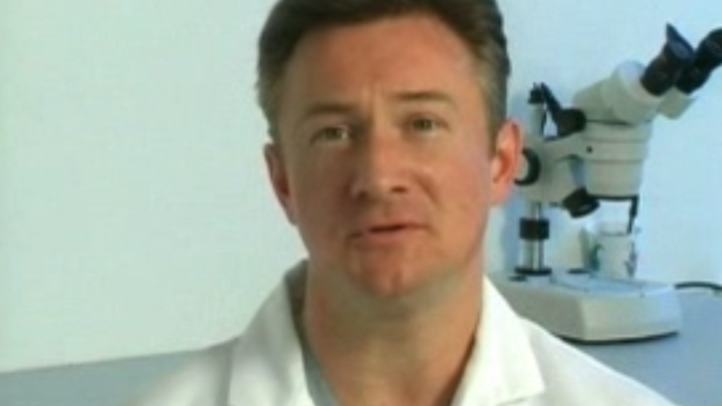 The hair transplantation techniques practiced by board-certified hair transplant surgeons Drs. True and Dorin include Follicular Unit Transplantation (FUT) and Follicular Unit Extraction (FUE). Both procedures consist of harvesting hair from the scalp which is then used to cover the bald or thin areas. The final result is natural-looking hair that can be styled and parted in any fashion. Other types of surgery used to treat male hair loss include different hair transplant techniques, scalp reduction surgery, and scalp expansion surgery. With scalp extension surgery, there is risk of infection. Scalp expansion surgery also poses a risk of infection and can alter one's appearance. For men who do not want to undergo hair transplant surgery, True & Dorin provides three non-surgical restoration treatment options. The first is Platelet-Rich Plasma (PRP) Therapy combined with Acell, best suitable for men diagnosed with hereditary male pattern balding. PRP works to stop and reverse hair follicle thinning and offers the best results when provided immediately after hair loss begins. The second non-surgical treatment option for male hair loss is Low Level Laser Therapy (LLLT), a technique that has been proven to encourage hair growth. Similar to PRP with Acell, LLLT works best when treated right after hair loss starts. True & Dorin also offers referral fo a third non-surgical treatment option for men called Scalp Micropigmentation (SMP), a cosmetic tattoo that works well to hide thinning hair. When it comes to medications to treat male hair loss, there are two main drug therapies on the market, minoxidil (Rogaine) and finasteride (Propecia). Affordable and FDA approved, minoxidil must be used on a daily basis to slow the progression of hair loss. It comes in a liquid or foam form and works best on men who are in the early stages of balding. Although it can slow down hair growth and encourage regrowth (although rare), possible side effects include irritation of the scalp and hair growth on unwanted areas such as the face or forehead. Finasteride is a prescription pill that can be taken by men suffering from all types of balding patterns. It works to encourage hair growth and stop hair loss. Many men choose to accept their baldness. Some decide to hide the thinning or bald areas of the scalp with hairpieces. There are many high-quality wigs and hairpieces on the market designed to offer a quick, non-surgical solution to hair loss. But there are draw backs to hairpieces; unfortunately, while they cover up baldness, they also destroy the hair that is left underneath. Men can also choose to hide their baldness by shaving their head or wearing hats. Using the most advanced hair transplant surgery in the industry, True & Dorin Medical Group has treated hundreds of men for hair loss. If you want to stop hair loss and improve hair growth, we invite you to contact True & Dorin today. During a consultation, you will have the opportunity to ask questions and discuss with a board-certified surgeon which type of male hair loss treatment is best for your specific situation.